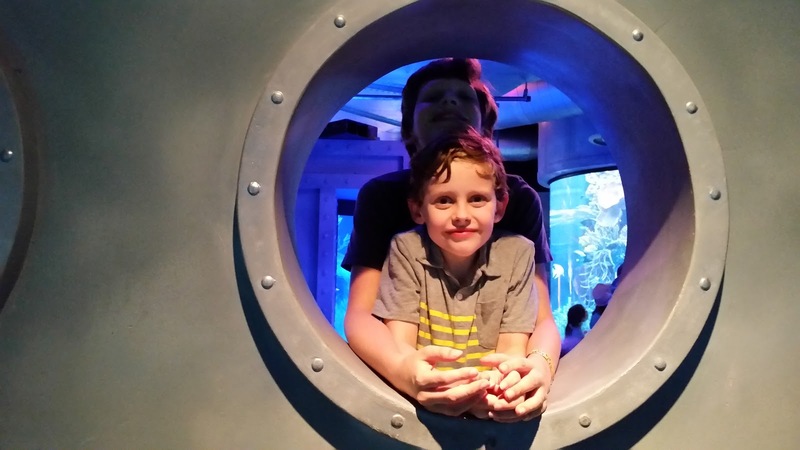 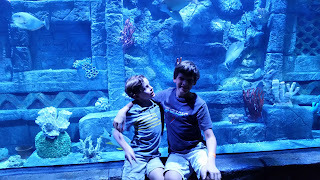 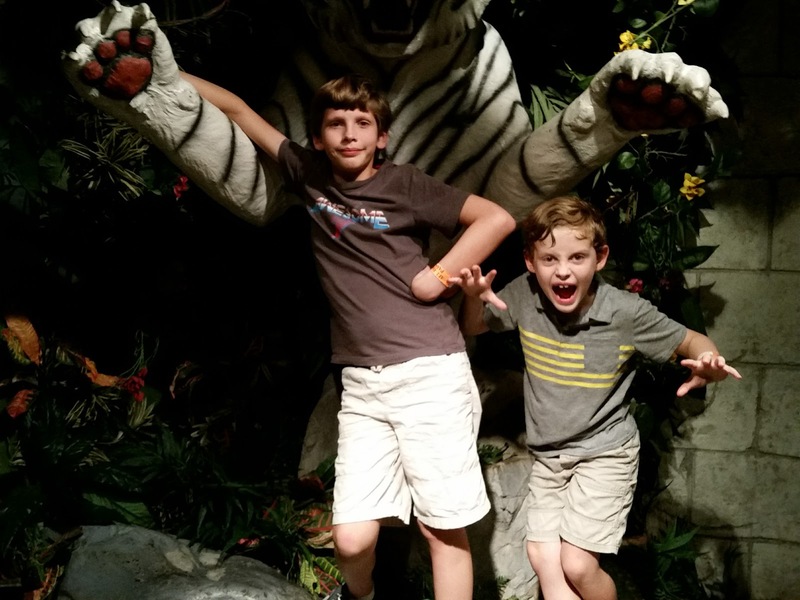 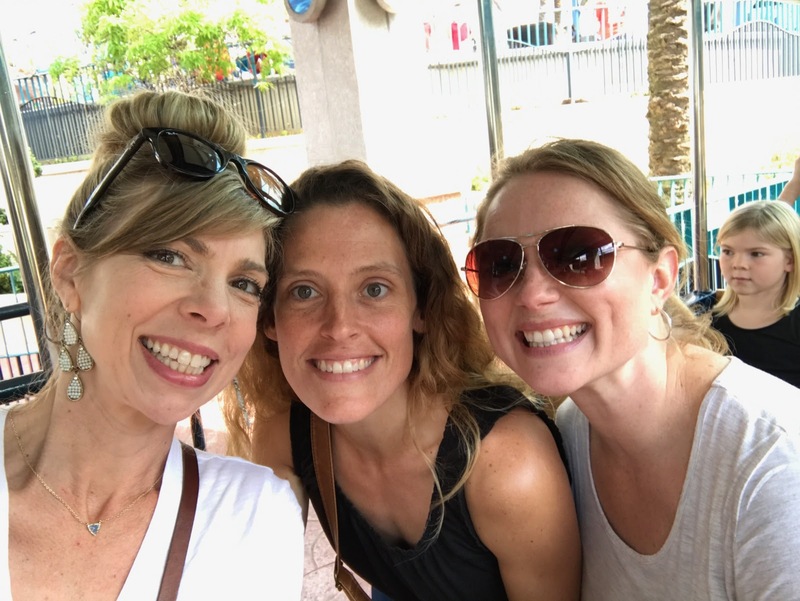 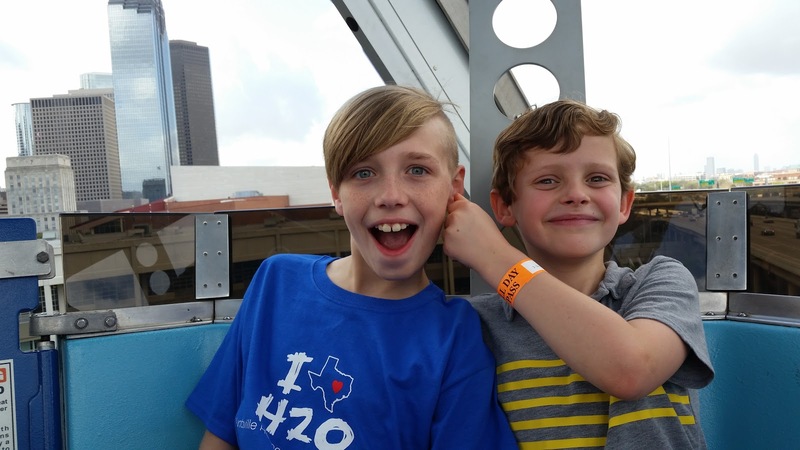 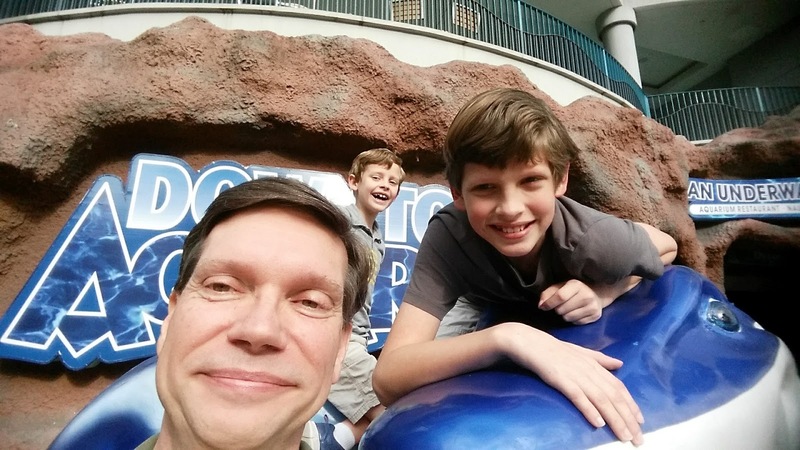 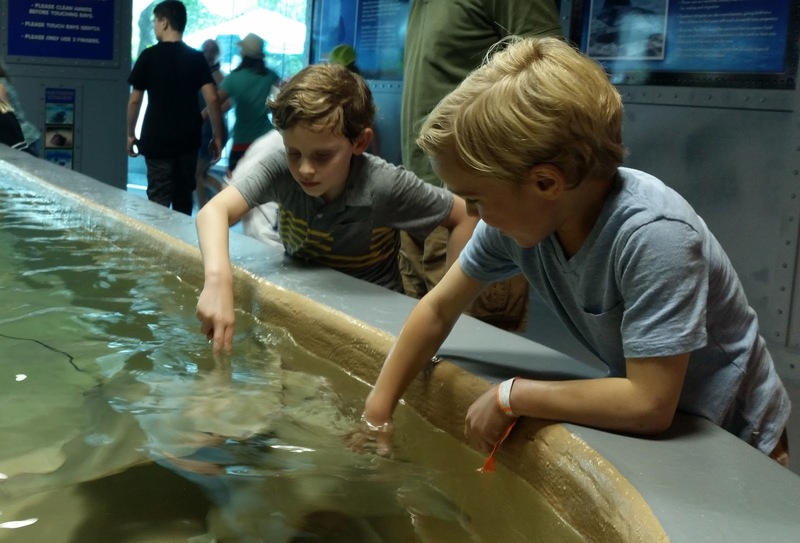 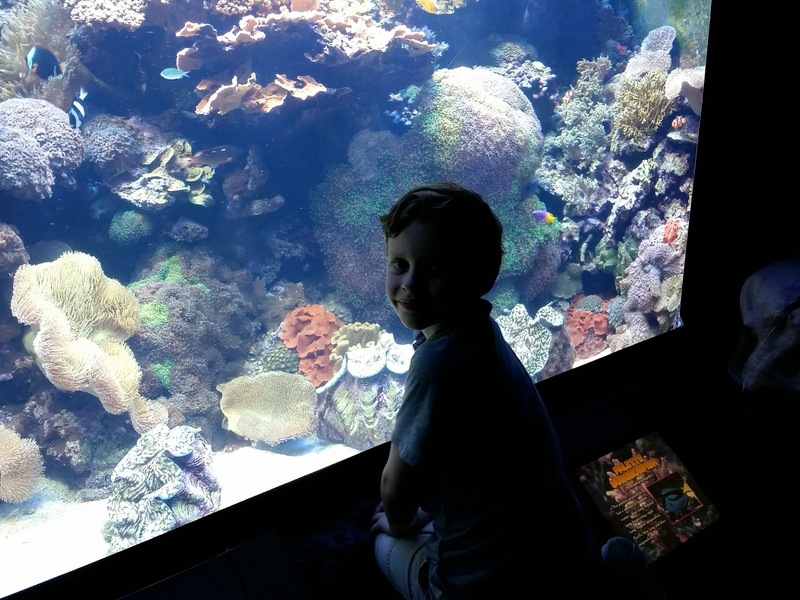 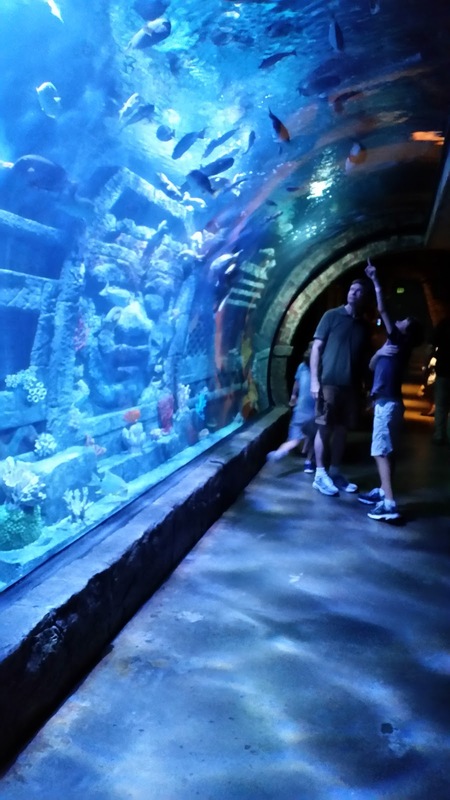 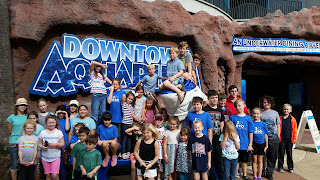 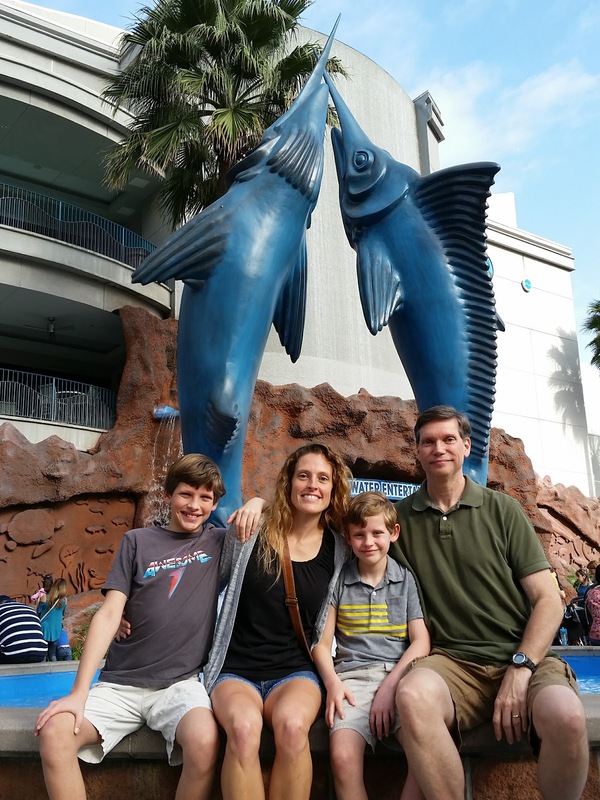 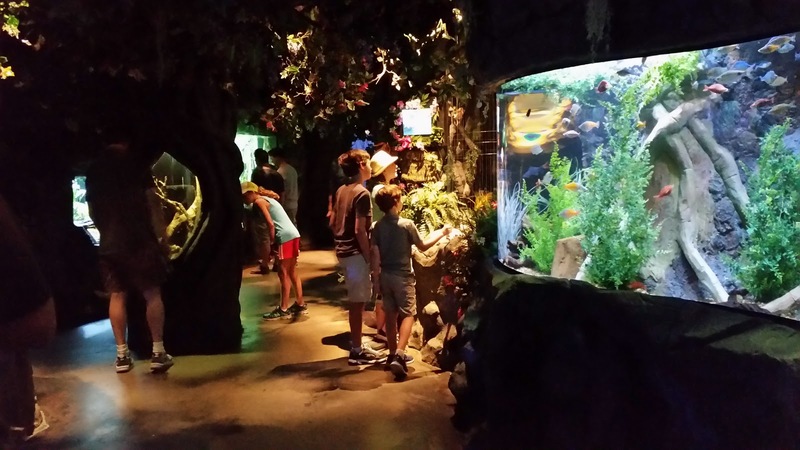 A homeschool field trip to the Houston Aquarium is always a good time! This one was especially great, as the weather was beautiful, we spent the time there with good friends, and even ate at the restaurant. 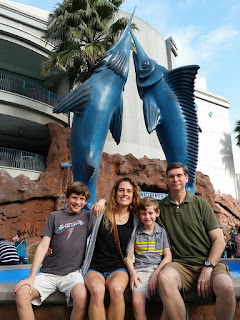 Family picture at the fountain. Dawson & Lincoln on the Lighthouse Dive. 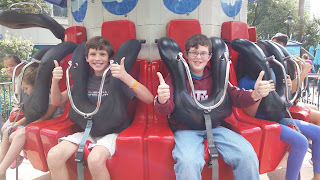 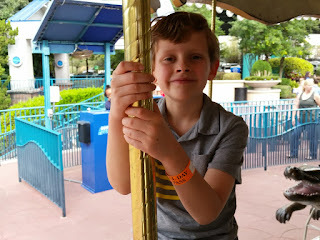 This was Dawson's favorite ride and the one he rode over and over again. Sweet Brady on the carousel. 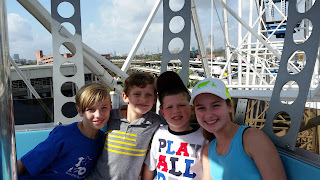 Riding the Ferris Wheel with friends. Another round on the Ferris Wheel. 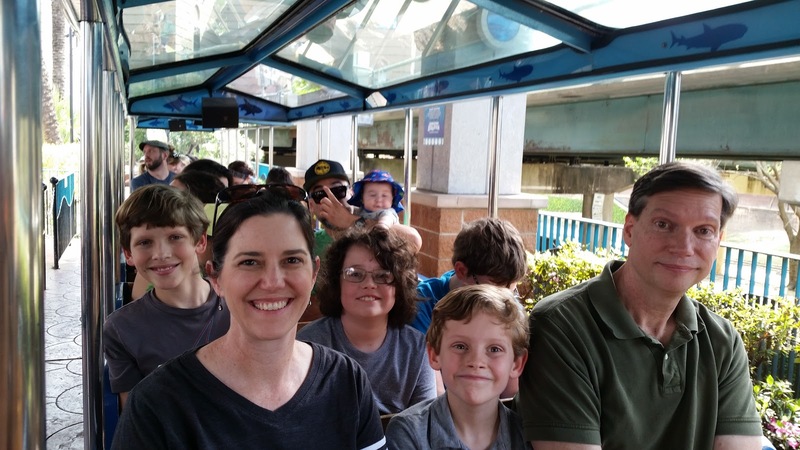 Ready for the shark train. 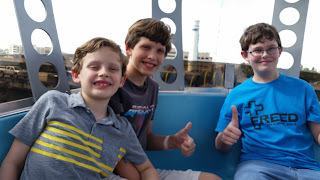 My beautiful company on the train ride. 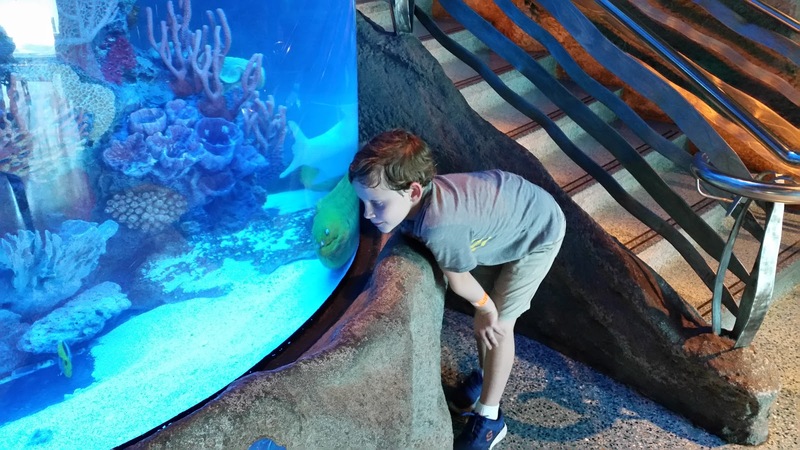 Up close with the eel. Walking through one of the rooms in the aquarium. 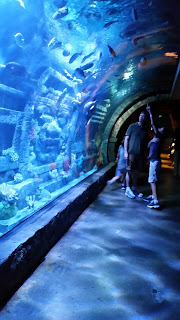 I love the design of this aquarium. Dawson was pointing out a puffer fish, which was really neat to see. This captures their personalities perfectly!